Make your classic footage work for you. The National Film and Sound Archive warns that time is running out, as legacy equipment and expertise are disappearing. The cost of inaction is significant – don’t get caught out. Future-proof your heritage assets, play the long game and convert your costs into revenue. 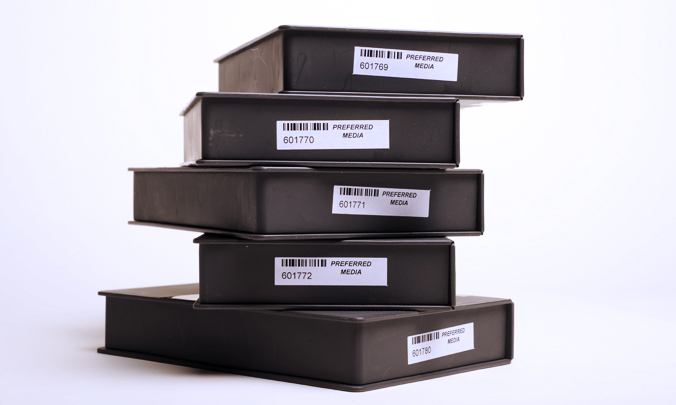 Quality film and tape conversion from single tapes to whole archives. Digitisation is the process of converting legacy media formats into accessible digital files. Our preservation specialists create high-quality files that are true to the source content and ready for distribution, edit or archive. 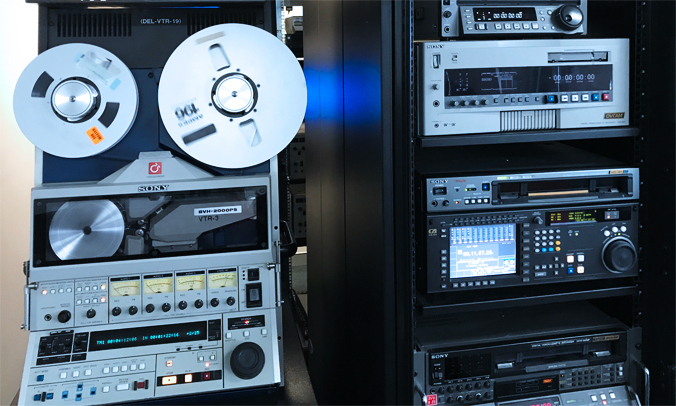 We capture a large range of formats from film to 1″, Umatic, and Betacam video, to 1/4″, 1/2″, 2″ audio and more. Our secure digitisation suite onsite provides remediation facilities for cleaning, baking and repair. Chosen as a panel member by the National Film & Sound Archive, we are backed by more than 35 years of media management experience. Our technicians understand the formats and have the skills to bring your footage into the 21st century. Breathe life into your legacy content. Your film, video and audiotape is in the right hands. We’re familiar with all formats and output specifications for distribution, broadcast and archive. Expert inventory and assessment helps you make informed choices. In-house expertise and specialist equipment to remediate degraded assets. Frame-accurate, maximum quality capture with quality control processes. Digitising Quiksilver’s historical film footage through Preferred Media not only ensures that our valuable content is secured and preserved for future generations, but it also enables us to re-use and re-purpose footage that may otherwise have never been enjoyed again. No doubt it will be put to great use for our upcoming 50 year anniversary! Preferred Media offer a top quality service, they are easy to deal with, experts in digitisation and archive management and we are very happy with the finished result. We have been working with Preferred Media since 2013, using their media asset management services to consolidate our brand assets. In 2017, we embarked on a digitisation project to convert, safeguard and preserve Peters Ice Cream brand heritage. As a household name, it is imperative that we work with a reputable partner in the industry, and Preferred Media is the partner we trust. I didn’t know where to start, so I asked Preferred Media. They assessed the tapes for degradation, then remediated to the best possible capture. I was very happy with the results – professional standard digitised files. PM are the experts - it was fantastic that they knew all about it, so the whole process was really easy for me. That’s why I’ve trusted them with my archive for almost 20 years. AGL had historical media content stored on a variety of film and tape formats and, through a strategically staged approach, Preferred Media were able to convert these formats to a usable digital catalogue. Preferred Media provided an efficient yet personal service which has enabled us to preserve the legacy of AGL and in particular, our flame girls! By using Preferred Media’s digitisation and asset management services, we were provided with a secure and well-structured digital library of our media assets that we are able to browse and manage with ease. Preferred Media were diligent in their approach and provide excellent customer service and support. Your legacy content is worth saving. No question. Don’t neglect your company’s precious heritage. You could be holding onto an untapped treasure trove of shareable content. Are you wasting time and money chasing after end-of-life legacy machines and vanishing expertise? Digitisation is the only way forward. Preserve your legacy content so you can re-use, re-purpose and monetise content across multiple platforms, now and for years to come. We use reliable ingest software for frame-accurate, maximum quality capture. We can output to a large number of formats, including JPEG2000. Let us know your required specifications. Remediation processes, including tape cleaning and baking, are applied with care. For staged migrations, legacy assets can benefit from storage in our climate-controlled vault. Some clients appreciate a staged approach, tackling at-risk formats first. We can put together a content migration plan that’s tailored to suit your archive. All digitised content receives three months’ digital archive in MediaPhile, which makes it easy to securely view and share your assets online. Rest assured that your investment is protected. Protect your archive from degradation and obsolescence. Act now to keep your investment alive, for a fraction of the cost of production. Is your brand iconic? Legacy footage can make authentic and engaging content for new campaigns. Think ahead and create reels for anniversaries and special celebrations. New platforms are hungry for content and many entertainment producers are reviewing their archive for monetisation potential. Sometimes historic label information is limited. We offer key metadata capture as standard with digitisation, and more detailed logging as an add-on service, to your requirements. Digitisation allows you to simplify your archive and put all your content in a central DAM, allowing for more efficient management. You might even save on your storage costs. Your legacy footage is literally irreplaceable. When an opportunity arises for re-use, be the person who managed the migration, not the person who threw it all away without a second glance.